Click & Collect not available on this item. Item is available for Home Delivery only. There are several styles available within this assortment and unfortunately it is not possible to request which one you would prefer, so please allow us to pick one on your behalf. Waverunner Shark Whistler Football whistles when you throw it. 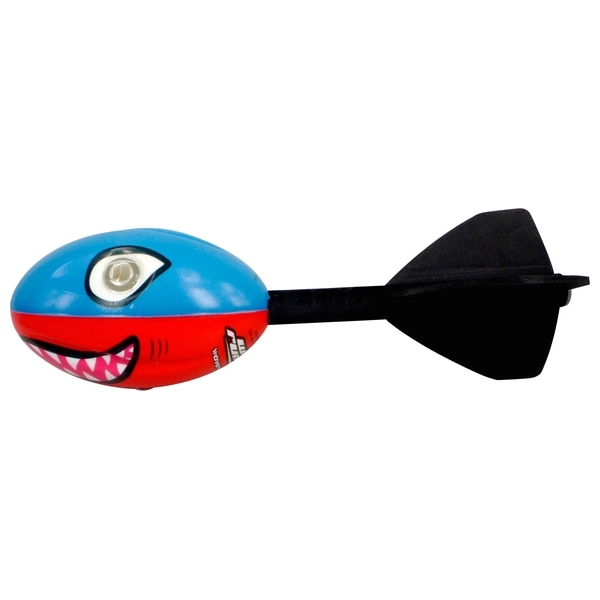 The Shark Whistler Football is available in 3 colours with a cool Shark graphic. (Each sold separately) They are light and easy to carry so you can take them wherever you go! EU Warning: Not suitable for children under the age of 3 years due to small parts which could cause a choking hazard. Not for Pets. Adult supervision required!Do not aim at face of others.